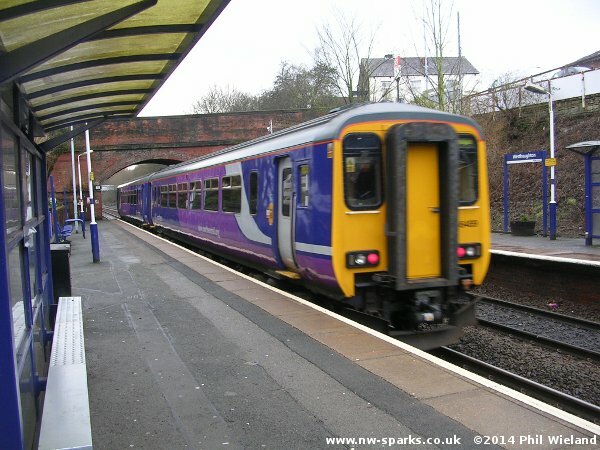 This route, approved for electrification in 2013 as an add-on to the other lines, runs from Lostock Junction, just south of Lostock station, to Wigan Station Junction which is just south of Wigan Northwestern station. See Map 2. 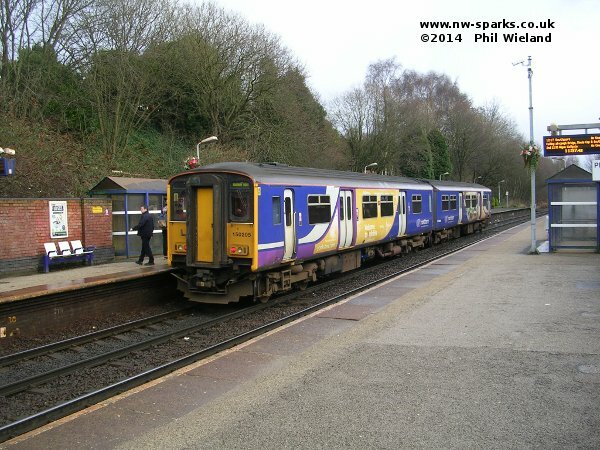 Trains heading north from Bolton turn left at Lostock Juntion. A pleasant small station, well cared for by the Friends of Westhoughton Station. Thanks to the plethora of bird-feeders and nesting boxes I was able to spot bluetits, a dunnock, a wren and at least a dozen blackbirds between trains. Just before we reach Hindley we join with the line from Manchester via Atherton, at Crow Nest Junction. 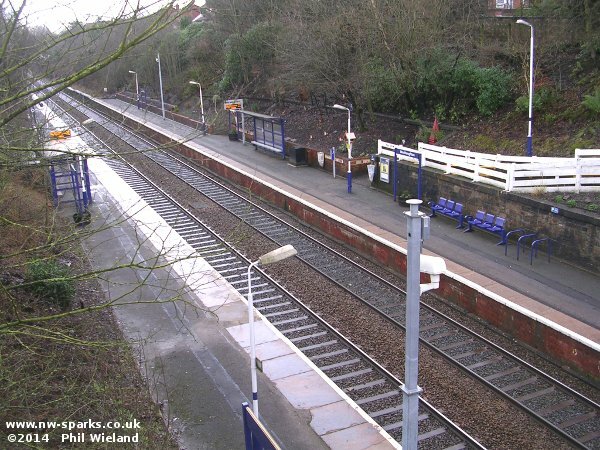 Hindley is another well looked after station, this time the Friends of Hindley Station are responsible for the pleasant garden, flower beds and general tidiness. 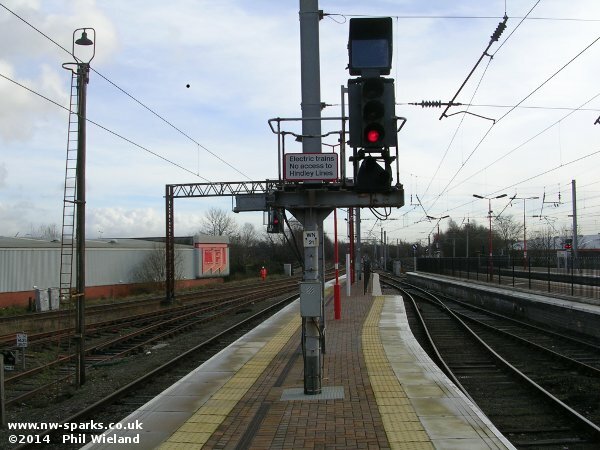 Almost all services from the Hindley direction currently run to Wigan Wallgate, but as I understand the plans this will not be electrified, possibly because of the low bridge carrying Wallgate and the station forecourt over the line. 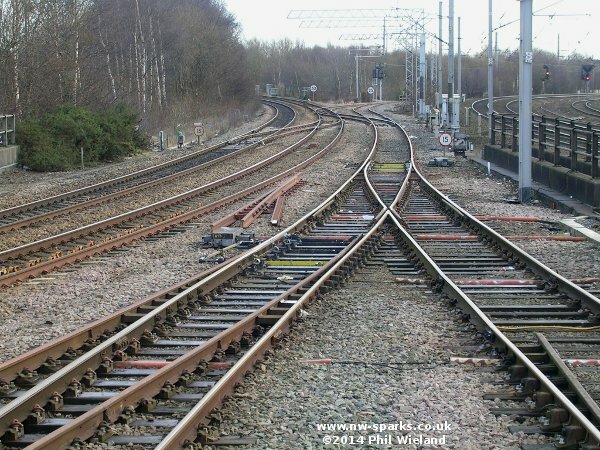 Instead, all electric trains will use the crossovers shown here, and run into Wigan Northwestern which has two little-used bay platforms conveniently located. 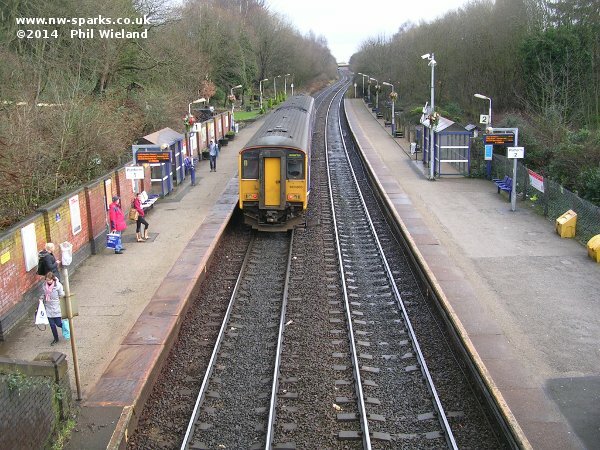 In this shot looking south from Northwestern, the line immediately to the right is the access to the bay platforms, on the left is the line through platform 1 with the point for some short sidings, and then further left are the tracks to Wallgate station. In the middle distance you can see the crossovers connecting the two routes - I don't know whether the layout will be remodelled. In the far distance, the Hindley route curves off to the left with the WCML on the right. Platform 1 on the left, bays 2 and 3 on the right. The sign will need to be removed!